The solution is simple to show the WiFi Profiles on Windows-7 or Windows 8, make WiFi is available to everyone! ► Wi-Fi Password of your Current Network (show, find, hack)? ► How to disable hibernate in windows 7? (Image-1) Find the WiFi Profiles on Windows-7! Thanks to the high development of modern wireless technologies, the creation of a home WiFi network in Windows 7 is available to everyone. This does not require much time and effort, as well as finance. This Solution is for all Windows 7 OS, and higher! WiFi technology has already become quite densely integrated into everyday life of people, helping and speeding up the solution of a mass of tasks. In particular, such networks offer the opportunity to share files and data between team members, play together and much more. And all this without any wires. But let's go directly to the question of how to create a WiFi network in the operating system windows 7. 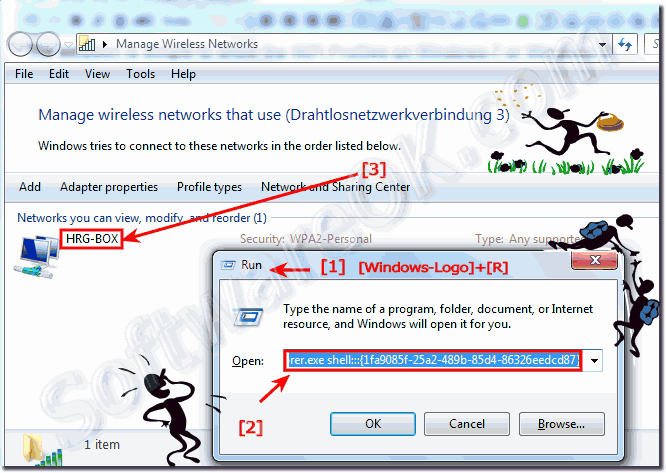 Windows-7 - FAQ-117: Show the WiFi Profiles on Windows-7?